That is exactly the primary function of a Star Trek Borg Sphere and Entertainment Earth just uncovered a highly limited edition of our Star Trek: First Contact Borg Sphere Monitor Mate Bobble Ship - 2014 Toy Fair Exclusive! This exclusive warehouse find of the Borg Sphere is limited to 804 pieces. Made of high quality resin this miniature bobble head fits right on your computer monitor and features a base in Toy Fair colors! We offered this delightful piece at Toy Fair earlier this year and now it's available at Entertainment Earth for anyone who missed us at Toy Fair! 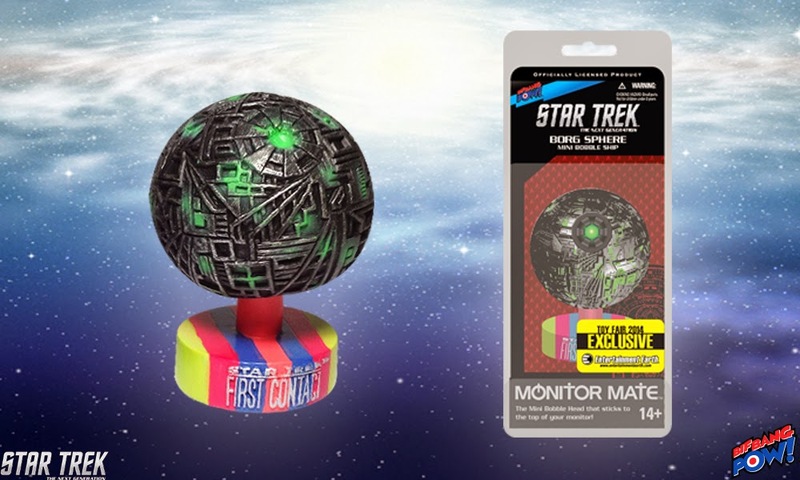 Add this rare exclusive Toy Fair 2014 Exclusive Borg Sphere to your Star Trek computer monitor mate collection before it disappears! See more of our awesome Star Trek collectibles!